Last month I went down to western North Carolina for a three-night backpacking trip in the Joyce Kilmer-Slirckrock Wilderness. I’d made two prior trips to the area (June 2012: http://www.kywilderness.com/forum/index.php?topic=6439.0 ; November 2012: http://www.kywilderness.com/forum/index.php?topic=6257.0 ) in the past year and was eager to share the intense natural beauty of the area with a friend who has accompanied me on several backpacking trips. When we hit the trail we knew from the sky as much as the weather forecast that it would not be if we would get rain but when. The when came at the most ideal moment possible. After hiking at a brisk pace for about two miles, and hearing rumbles of thunder and feeling scattered drops of rain, we established camp at our intended site. I had barely gotten the small, lightweight tarp used for our dining shelter set up when the rain started, the skies darkened and a nearly hour-long thunderstorm of moderate intensity began. It was definitely worth the extra weight (perhaps 10 ounces, between the tarp and stakes) to be able to sit under the tarp and engage in idle conversation while actually watching and experiencing the thunderstorm rather than being confined in our separate tents. Once the thunderstorm moved along we filtered water from the noticeably fuller and swifter creek nearby and proceeded with the other camp chores, like hanging the bear bag and -- nearly as important -- hanging the hammocks that we would relax in before and after dinner. It was the after dinner hanging that proved especially enjoyable; an abundance of fireflies provided an excellent light show that captured our attention and was imminently more enjoyable, and required considerably less effort, than a campfire. Nothing short of packing in and powering randomized blinking Christmas tree lights could replicate the mesmerizing ambience created in the dark of the forest by those insects. We alternated between listening to music and allowing the sounds of the stream to prevail, spending the rest of the evening absolutely enchanted. It took a great deal of determination to rise from the hammocks and head to the tents. Exchanging a hammock and light show for a sleeping pad and sil-nylon separation from the night was a neccesity we begrudgingly accepted. The next day we made the steep climb from our campsite to the crest of the ridge where the campsites we would stay at for the next two nights was located. 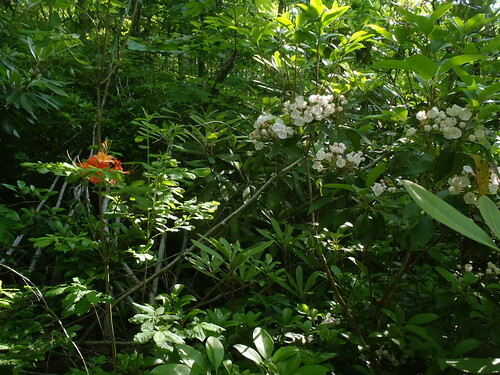 Upon reaching the crest, we made a detour to a nearby bald which had some azalea beginning to come into bloom. Azalea blooming at a bald at approximately 5,300 feet. We then began the three mile hike to where we would set up camp for the next two nights. Although I typically prefer to camp further off the trail, the location of this campsite makes it difficult to resist. It’s relatively sheltered by trees and is only a few hundred feet from a spectacular overlook. 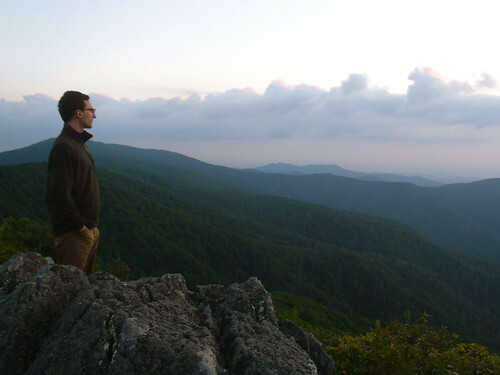 A hiker enjoying a vista of the wilderness as twilight settles across the landscape. View into the Slickrock Creek basin. We enjoyed dinner and several hours of stargazing at the overlook before heading to bed with a plan of waking up in the morning and descending to a creek for a day of creekwalking. Negotiating a particularly tricky section of creek. A deep hole requiring a swim to get to the other side and continue down the creek was at the bottom of this sluice. The descent and climb back up (about 1,600 feet over two miles) was more rugged than I recalled it being on my trip the previous year and, in hindsight, was perhaps a more strenuous excursion than either of us would have liked for a “vacation”. Live and learn, I suppose. We woke on the last day of our trip early enough to enjoy the sunrise and packed up after breakfast. Our hike out of the woods was the easiest hiking we had done since the first day of our trip and the blooming azaleas and mountain laurel punctuated an already scenic hike with bursts of color. Overgrown is not an understatement. It was nice to see colors other than green or brown after hiking through overgrown trails for a few hours straight. Despite the rugged, overgrown trails (or perhaps because of them) the Joyce Kilmer-Slickrock Wilderness is one of my favorite places for backpacking. 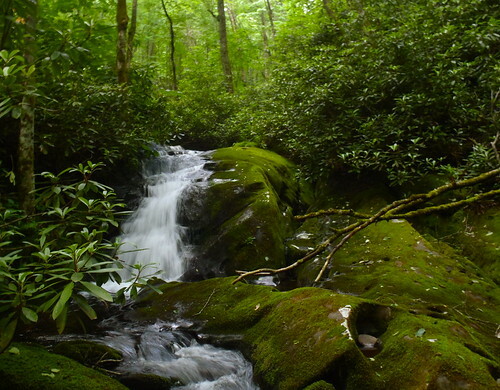 The old-growth forest and mountain streams are superb and make for an inimitable atmosphere. The views from the ridges are breathtaking and campsites are cozy and, if properly planned, are as conveniently located for loops as any “official” backcountry trail and campsite system I’ve encountered. 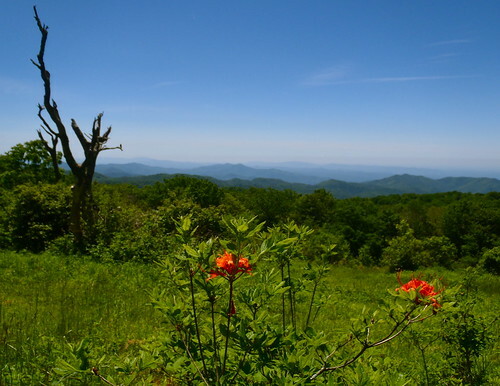 However, one of the most enjoying aspects of my visits to the Joyce Kilmer-Slickrock Wilderness is the solitude. 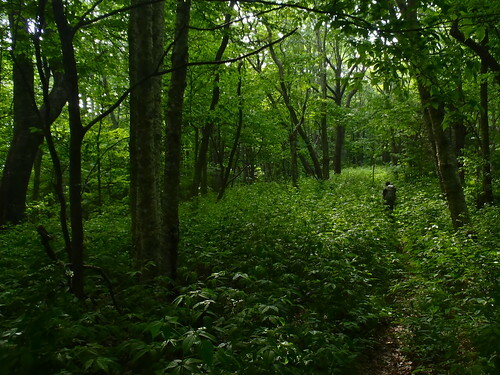 On this trip, for example, we encountered 8 other hikers -- all on Friday -- on a Thursday to Sunday with ideal weather for mid-June and shrubbery in bloom. 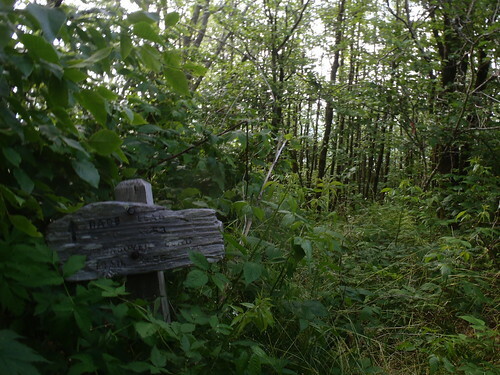 Most of our hiking was done on official trails and our campsites were on popular trails near popular point-of-interest. In the Smokies or the Red River Gorge, we likely would have seen more people in four hours than we did in four days. Hopefully, the uncrowded charm of the Joyce Kilmer-Slickrock Wilderness will last as long as the giant tulip poplars that line its trails. That said, I would be happy to share more detailed information about my trip (i.e. trails, campsites, etc.) with anyone who is planning a trip to the area. Feel free to PM me on here and I will do what I can to help you out. great trip report and pics. I had to go back and read your other reports also. Of course once I started reading them I realized I had read them before. Still worthwhile to read again. Thanks Mark. Looks like a beautiful place. 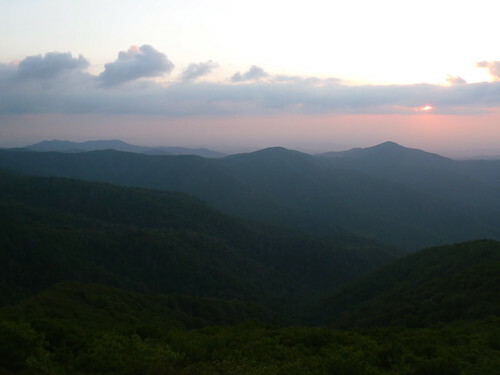 I was scaning some maps and it looks like it would add about another hour of travel compared with hikes on the western side of the Smokies. Maybe this fall I'll give it a go. Big trees, rich forest, running water, and outstanding views- what else can you ask for? Great report and super pictures. I wish I was there. Thanks for making the effort to post them here. Yeah, I'd say about an extra hour of travel would be accurate. Definitely worth it in my opinion, especially since you lose so many of the crowds. Kind of like how if you drive an hour south from the Red River Gorge to another part of the Daniel Boone National Forest you have similar scenery but empty parking lots. The only thing I'd make sure to keep in mind is that you'll definitely want a decent map and reading the guidebook would be something I'd strongly recommend. Also, some of the trails can be very steep and rugged. So maybe scale the mileage down a bit from what you'd do in other areas. But overall it is definitely a "don't miss" place in the southern Appalachians in my opinion.